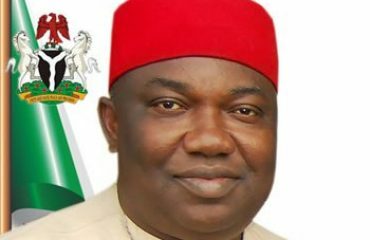 Workers and pensioners in Enugu State under the auspices of the Organized Labour, comprising the Nigeria Labour Congress (NLC) and Trade Union Congress (TUC) on Thursday held a mega solidarity rally in support of good governance in the state and in appreciation of Governor Ifeanyi Ugwuanyi for his “undeterred friendly disposition” towards them, and endorsed him for re-election in 2019. 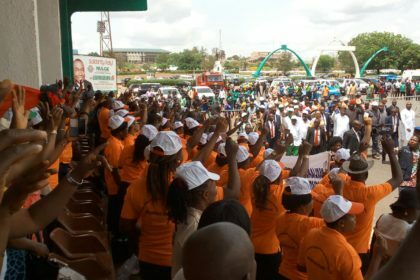 The jubilant workers and retirees, who marched from the new state secretariat, G.R.A, Enugu to the venue of the rally at the popular Michael Okpara Square, Independence Layout, said they “have never had it any better before”. 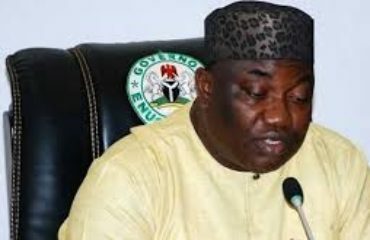 Speaking on behalf of the workers and pensioners, the Chairman of the Nigeria Labour Congress (NLC), Enugu State Council, Comrade Virginus Nwobodo also thanked Gov. 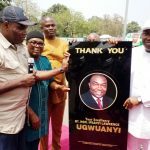 Ugwuanyi for his “able and dynamic governance style, which has in your less than three years in office, wiped away our tears, and brought assurances to us for a better future”. They said that the governor has continued to beat their imaginations, disclosing that his administration, apart from the regular payment of salaries and pensions, paid the outstanding arrears of salaries and allowances owed workers in the state; approved and paid the 13th month salary to workers and teachers in the state and local government areas as Christmas Bonus; approved the conduct and release of outstanding promotions, conversions and advancement in the state civil service and recruited about 4000 primary and secondary school teachers “to enhance our educational sector”. 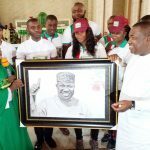 The workers also added that the governor while attending to the welfare of the workers has also executed “massive infrastructural development of both urban and rural areas of the state through your unique fiscal management of the state’s scarce resources”. They also applauded Gov. 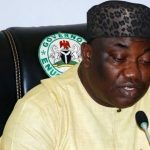 Ugwuanyi for the entrenchment and sustenance of peace and security in the state, which they said have earned Enugu State the enviable status as the “safest place to live in Nigeria”. They also lauded the governor for the judicious utilization of the bailout funds and London/Paris Club refunds, stressing that “whereas the release of the funds caused much rifts in some states”, he “applied due wisdom and integrity in the application of that of Enugu State”. “Your Excellency’s positive transformation of the education, agriculture and health sectors, including other areas of governance, is in the open domain and glaring to all. 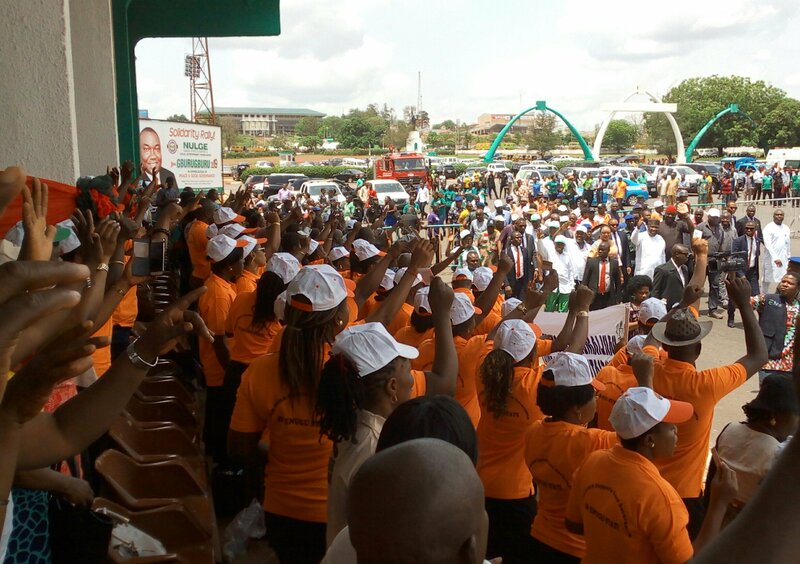 These have improved greatly the quality of lives of the citizens of Enugu State. 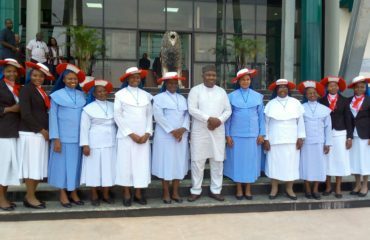 “We are confident that God Almighty, in whose hands you have placed Enugu State, will see you through in 2019. Just remain faithful to Him and keep doing good. Then, consider your success a certainty”, the workers said. In his remark, the Chairman of TUC, Comrade Igbokwe C. Igbokwe also commended Gov. 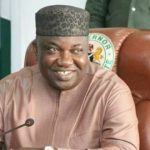 Ugwuanyi for his open door policy and commitment to the welfare of the workers, pointing out that the governor, driven by his passion for them adjusted back the salary payment schedule from 25th of every month to 23rd. Comrade Igbokwe hailed the governor for the “peaceful and transparent” conduct of the Local Government elections in the state; reactivation and transformation of the neighborhood watch groups in the communities into “a standard organization”; the Executive-Legislative harmonious relationship; and his inclusive and bi-partisan approach to governance, saying: “Good governance has covered everything, everybody is happy”. Responding, Gov. 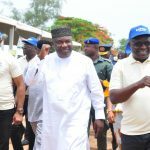 Ugwuanyi thanked the workers in the state for the endorsement and massive turnout at the rally “to demonstrate your support, solidarity and tremendous affection for our administration”. He reassured them of his administration’s continued commitment to their welfare and promised to take speedy actions in addressing the pending issues concerning their progress. Other speakers at the event include the Commissioner for Labour and Productivity, Hon. Charles Ogbo Asogwa and the Head of Service, Mr. Chidi Ezema, among others.